Steril-Sil Archives - J.D. Honigberg International, Inc.
Steril-Sil was founded by Edward A. Stiller in 1938 on a new concept to the foodservice industry, silverware dispensing products. Steril-Sil is the originator of the silverware cylinder which to this day is the industry and world-wide standard. 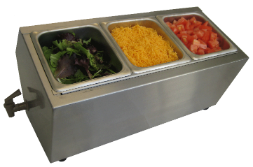 The silverware cylinder and the original TC-4 countertop dispenser were the company’s first products. After 78+ years, Edward Stiller’s 1938 silverware cylinder design and countertop dispensers are still in wide use.